Symmetry shouldn’t be allowed in schools because symmetry is a bully! When we sketched something just a little left of centre, this Villa stuck its 2 bay windows up at us! We had to part our hair down the middle and roll with it. 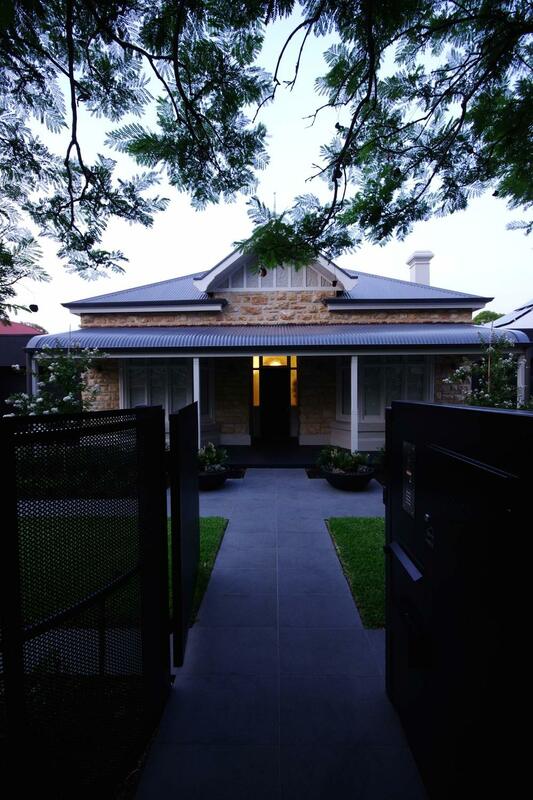 This Adelaide Villa on a suburban block with a bad lean-to was pleading for a formulaic response: 1) knock down bad lean-to 2) extend nice extensive extension. Besides being disturbingly symmetrical it was also inconsiderately positioned. The rangehood flue had been wall-papered. It had a commanding view of the neighbour’s posteriors and a central corridor that was divided into 3 distinct segments leading into a dark corner. Each segment of corridor both narrowed and shed ornament at the same time. But wait! There is light at the end of the corridor and around the corner. 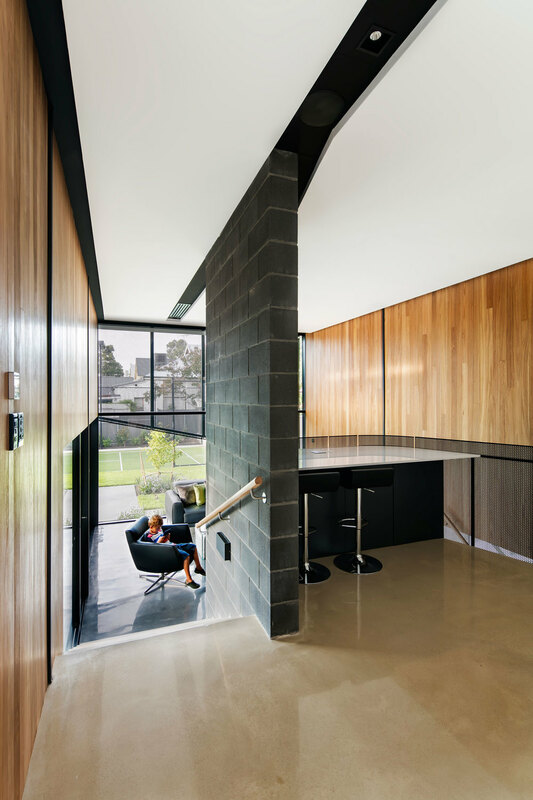 There was a wonderful ceiling, a subtle fall to the site which gave an unexpected elevation, there was one long view to the North-west just over the intersection of 4 shades of colorbond. Most importantly, there was also a client who wanted creativity and design – it was this single factor that catapulted the potentially formulaic into the fantastic. To be more specific, our client needed a new home for his family but not earthy, not humble, not a playground, not an art gallery. Calm. Classy. Glossy. Impressive. Functional. Efficient. Clever. So we flaunted the symmetry before breaking it. We narrowed the corridor even further, pinching it down before we unzipped it to completely. We not only shed the ornament, we shed the plaster too. 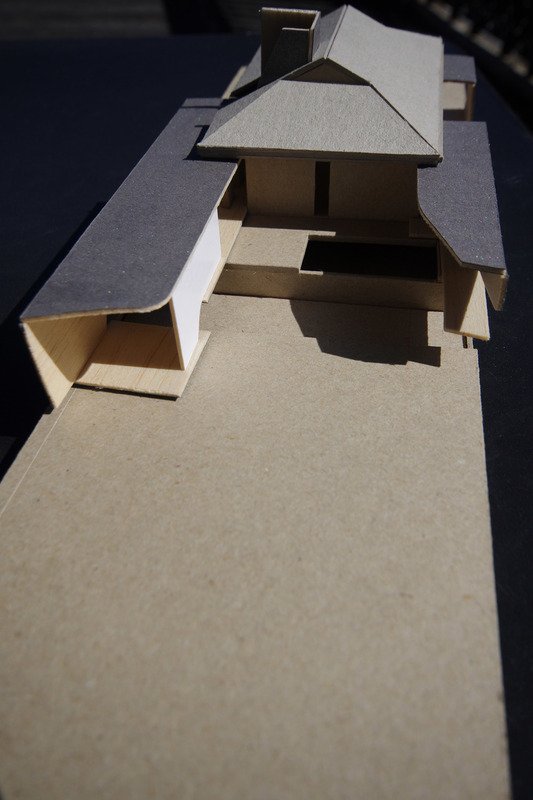 We did not hold the existing house with disdain but engaged with it. The last lump of original stone and brick crumbles like a 13th apostle into a calm ocean of new polished concrete. 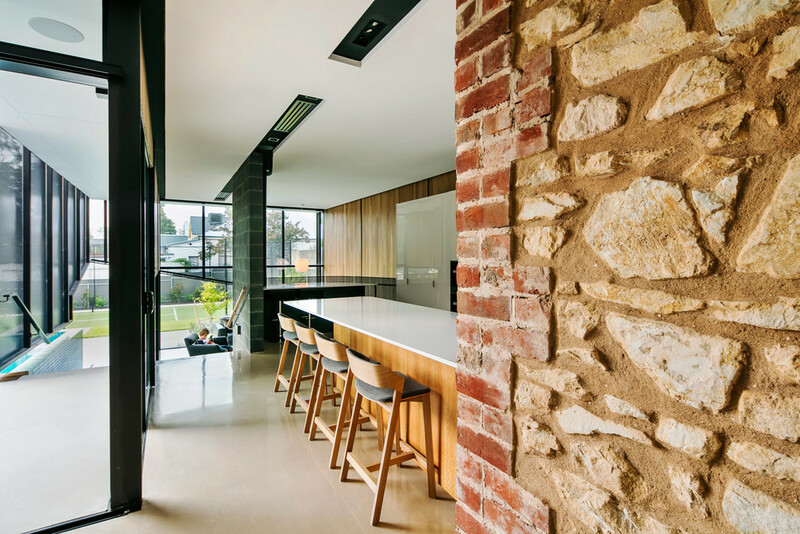 This is a point of nakedness where the raw steel and glass of the new embraces the bare brick of the original. Axis shift and sight lines are revealed. From nakedness the spaces are re-clothed layer by layer until finally a perforated veil lifts a corner to let you outside once again.